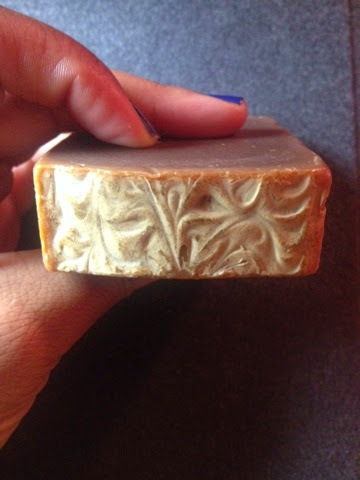 For me, there is no comparison between natural soaps packed with great ingredients, and their skin drying chemically laden counterparts found on most store shelves. 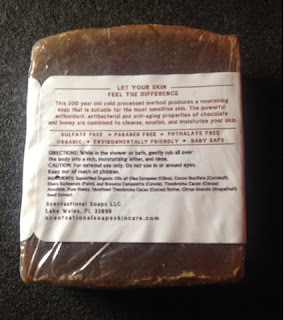 So when granted the opportunity to try out some of the natural and organic soap offerings from Scentsational Soaps and Skincare, I leaped at the offer. Pictured throughout this post you will see all of the soaps that I received, including the sample bars. So let's get to it and break down my thoughts on these soaps. (Pictured above is the top view of the Royal Jelly Lemon Drop soap pictured at the start of this post). The scents of these soaps are well matched with the actual name of each bar. I started by smelling a sample bar (not pictured) of the Honeyed Pumpkin Almond soap, which smelled too good to be true. It literally smelled like honey and almonds, emphasis on the almond scent. 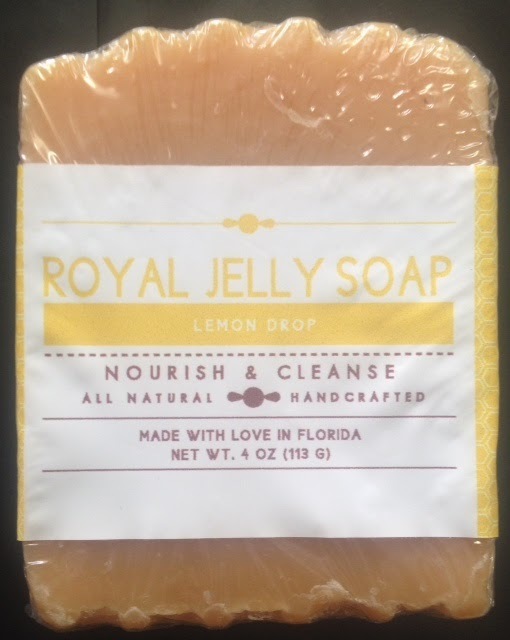 Of all of the soaps that I tried, one of my favorite scents was the "Royal Jelly Lemon Drop" soap pictured above, it smells like a light lemongrass scent. The fragrance was amplified while I was lathering up in the steamy bathroom. After getting out of the shower I could literally smell it in the air. However, it wasn't clear to me that the scent remained on my skin after I toweled off. I proceeded to give my skin a quick sniff and yup, the scent of lemongrass had remained. While the scent isn't long lasting, it smells good while it lasts. The Chocolate Honey Decadence soap smells like a hot cocoa with a dash of peanut butter. If I wanted anything else in terms of the scent, it would be increased intensity and longevity so that I could detect it on my skin for a longer period of time without having to physically put my arm to my nose. To be fair, it could also be that I simply became so immersed in the scent that it was difficult to determine the source from which the scent emanated. Although the specific ingredients differ from soap to soap, they all have natural and organic ingredients. You can click on and enlarge the picture of the back of the soap packaging (at the end of this post) to read the ingredient list for yourself. 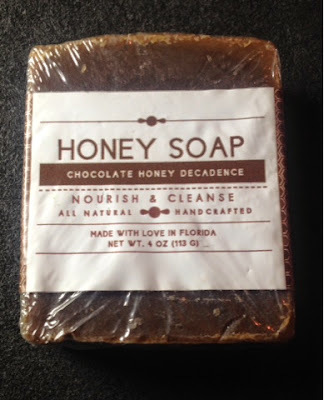 You will find a host of oils, honey and in the case of the Chocolate Honey Decadence soap, cocoa butter. 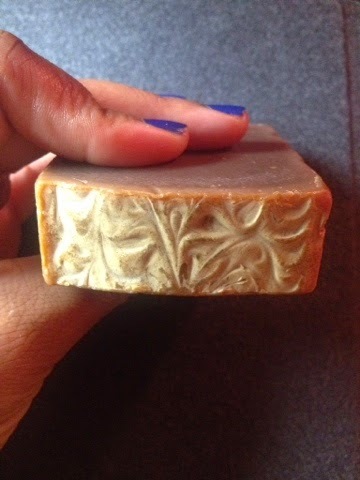 The soaps range in price from $2.00 for the 1 oz sample soaps to $8.00 for the "smooth shaving soap". 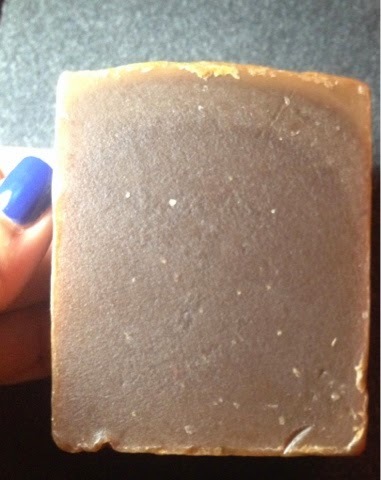 The majority of the soaps are 4 oz and are sold for $7.80. 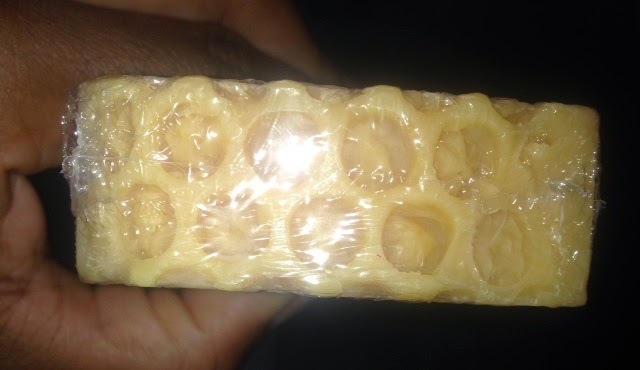 This is a typical price for a single bar of soap in the natural soap arena. Upon contact the soap seemed to soften my skin. It was such a pleasure using these soaps because it didn't dry my skin out and it continued to feel soft after I toweled off. I suppose all of the oils in the soap help to lock in the moisture from the water....I'm guessing here but it sounds possible, so I am going to roll with it. The full sized soaps both lasted roughly 1 week and 4 days. I haven't used a unnatural soap bar in years so I have no recollection of how long those bars use to last. I should also note that the 1 week 4 day period covered multiple daily 20 minute showers. My shower duration was subject to change based on my mood, but on average I had 20 minute sessions. If any of you still use store bought soaps please let me know how long one bar lasts for you. 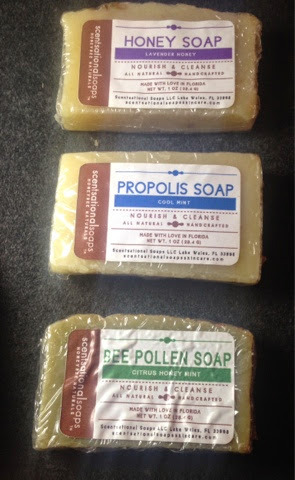 Try them ALL, you may even want to start with the sampler soaps as shown below. You can even buy the soap stacker, for $6.00, which comes with 4 sample soaps. Purchasing the stacker will help you to determine the scents that are most pleasing to you if you are hesitant to purchase the large size. Have you tried anything from Scentsational Soaps and Skincare? I have already recorded a video reviewing the other items that I received from Scentational Soaps. My review of the body butter, facial, hair & lip products, liquid body wash and body scrub will all be discussed in my next post. I will hopefully have the video posted tomorrow, Thursday October 23rd...if not tonight. Thanks so much for reading and a huge thanks to Sarah and Chad from Scentsational Soaps and Skincare for sending me these lovely soaps.